Dietary guidelines developed by the U.S. Department of Agriculture, recommend making grains a daily part of your diet. Eating two ounces of either multigrain or rye bread boosts your grain intake, so that you can reach the recommended daily intake of 7 ounces for men and 6 for women. Rye and multigrain breads both contain roughly 150 calories per 2-ounce serving, and provide carbohydrates your body needs for energy, but offer different amounts of some minerals and vitamins. 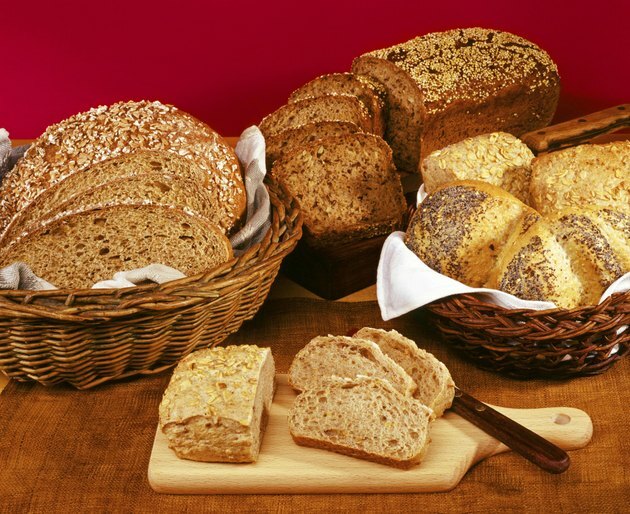 Rye and multigrain breads contain similar amounts of selenium and iron, two nutrients needed for enzyme activation. Iron-dependent enzymes help your cells produce energy, while selenium-dependent enzymes regulate thyroid hormone function and play a role in immune function. Iron also helps your red blood cells carry oxygen to your tissues -- a process essential for supporting your cellular metabolism. Your diet should include 55 micrograms of selenium each day to fight deficiency, and women need 18 milligrams of iron daily, while men need 8 milligrams. A two-ounce serving of multigrain bread contains 19 micrograms of selenium and 1.4 milligrams of iron, while an equivalent portion of rye bread offers 18 micrograms of selenium and 1.6 milligrams of iron. Reach for rye bread as a superior source of folate and thiamin, also called vitamins B-9 and B-1, respectively. Folate helps your cells regulate gene activity, plays a role in protein metabolism and promotes healthy nervous system growth during fetal development. A two-ounce portion of rye bread offers 63 micrograms of folate, which is 16 percent of your daily folate requirement, while an equal serving of multigrain bread contains 43 micrograms. Rye also contains more thiamin per serving than multigrain bread. Two ounces boasts 247 micrograms -- 22 and 21 percent of the daily intakes set for women and men, respectively -- compared to 159 micrograms in multigrain bread. This thiamin helps you metabolize nutrients, and maintaining healthy thiamin levels might also combat Alzheimer's disease. 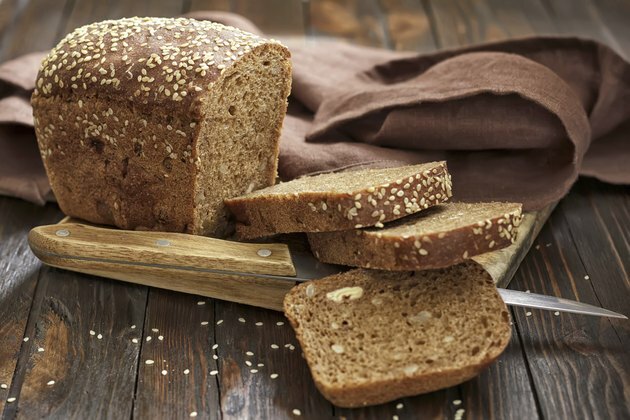 Multigrain bread -- but not rye bread -- provides a significant amount of magnesium. Your body relies on magnesium to make up a component of strong bone tissue, and also uses magnesium to make ATP, a source of energy. A diet rich in magnesium also helps your cells communicate, aids in cell migration and supports the function of your parathyroid gland. Consuming two ounces of multigrain bread boosts your magnesium intake by 44 milligrams, which is 10 percent of the daily magnesium intake recommended for men and 15 percent for women. An equivalent portion of rye bread, in contrast, contains just 23 milligrams of magnesium. 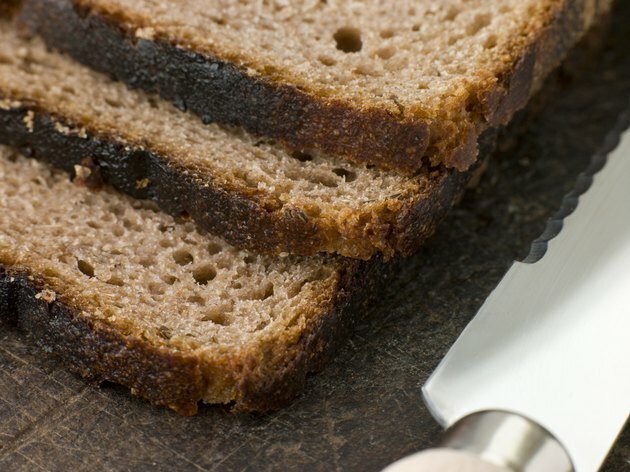 Reach for multigrain bread over rye bread as a source of dietary fiber. Each serving of multigrain bread contains 4.2 grams of fiber -- 17 and 11 percent of the daily fiber intakes recommended for women and men, respectively -- while a serving of rye bread offers 3.3 grams. Fiber expands in your stomach, providing a feeling of satiety. As a result, multigrain bread will help keep you full for longer after your meal than rye bread. 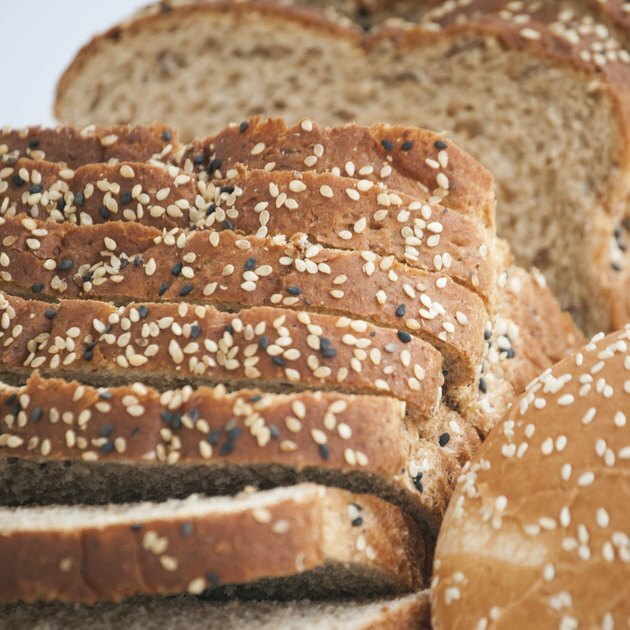 Opting for multigrain bread as part of a high-fiber diet also promotes long-term health, lowering your risk of developing coronary heart disease. USDA National Nutrient Database: How Many Grain Foods Are Needed Daily?